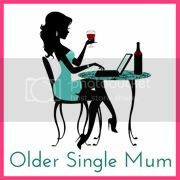 Older Single Mum: Kudos in the Classroom - A Nintendo Wii U Console Review. Kudos in the Classroom - A Nintendo Wii U Console Review. Honestly, the things we do for our kids! 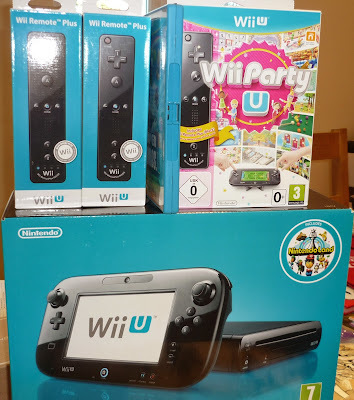 The prospect of reviewing one of these Wii U consoles was terrifying, but, purely in the interests of my eight year old son's peer pressure, it had to be done. 'Next-gen' they call them. 'Next generation' this means to those of us not in the know. Part of the Wii U Premium Pack. This info was gleaned when I trundled along to a large retailer who reliably wouldn't be as clueless as me about the current generation stuff, let alone the next one. Glossing over the imminent release of rivals' and the suggestions of evidence re the stunting of brain sensors due to screen time, I wanted to see for myself why any of us might spend upwards of £200 on one. This is their second model, actually released this time last year and we had truly been considering asking Father Christmas for a pre-owned original Wii for the kids this year - loads of people are trading them in for the newer one - as you do - because it's heartbreaking to hear the playdate mates of my son preferring to be with him in their own homes rather than come to ours because we lack this kind of thing. It's just not cool. To be honest, apart from financial constraints, it's been something I've felt to be put off as long as possible, because they can completely lose themselves in these worlds and we can be left behind, but the principle behind this particular Nintendo product is to bring the family together in new ways and, admittedly, it has somewhat. That would be after the wanting to bang my head against a brick wall bits. The beauty of being supposedly able to connect to the internet was lost for a while because our Router is two rooms away from our TV and therefore the console, which meant trouble from the off. It's perfectly possible to get started and play some of the games without this, but for the extra features and to enjoy everything that the Wii U offers, it's necessary. Either you need a Router Booster, an old fashioned Ethernet cable and an adaptor, or to bring the two babies devices closer together, which in our house, temporarily involves a heap of telephone line cabling. The Nintendo helpline (0845 60502479) is easy to get through to and it's fair to say they know their error codes! Nevertheless, once this was organized we could get on with some simple setting up and the first time heavy system updating process which takes too long for hungry / excited children, so this is best done separately or beforehand if you don't want to be feeling fraught throughout it. The fun began with setting up our own Mii Universe characters, choosing face shapes, hair, eyes etc. to represent ourselves individually, before playing as them. We loved this bit, but, again, it takes time that the kids might not appreciate when they want to crack on. The innovative new Wii U Game Pad. You do this on the best part of new Wii U - a great space-age innovative touchscreen Game Pad, which up to two people can play on. My eldest (aged eight) referred to it as 'like a massive ds' and insists on using the stylus, the youngest (aged four) can find his way around it surprisingly easily. Children these days possess an innate knowing of how these things work, whereas I had to ask one of our students to secretly show me around it! It can be played independently away from the TV, or alongside the big screen, each reflecting the other with the option of up to another three players on the more familiar - and compatible - Wii Remote Controllers as per the original model . I believe that up to five people playing at any one time is unique to this console, as is, and it being especially useful, being able to continue to play on uninterrupted when the adults have had enough something else is wanted on the telly or you're a child really wanting to wind your parents up by sneaking on quietly in the morning before school! The boys played with their friends and our students. All the games made for the first Wii are transferrable to the Wii U and those offered by Nintendo are, crucially, definitely more family friendly geared than the other more teenage / adult focussed ones on the market. But let's not forget the ability to play other members of the Miiverse on-line too. And while you're there you can add extra content and levels for the various games as well get some tips and explore new ones in their e-shop. I think it's super that Nintendo also supports imaginative, independent games made by one or two people rather than only the ones made by giant studios. There's a wealth of original ideas showcased there, plus a collection of classic retro games, together with a variety of apps and demos alongside all the usual blockbusters. Individual parental controls can be added to each character - to limit access to games by recommended age ratings and the other areas of internet browsing, including Netflix. There is an independent Netflix for Kids, which was a real revelation to us! We were sent three games with our Premium Package and the first thing that struck us about them all was the really impressive high definition graphics ('up to 1080bp,' according to the blurb) and these undoubtedly add to the enjoyment of playing them. Nintendo Land hasn't had as much attention as it deserves because Super Mario Bros U was on the scene. The boys, being novices, found it a bit tricky to navigate but we're looking forward to going back to it. In the meanwhile, they much preferred to be helping / hindering each other taking it in turns to be the neverendingly popular Mario, Luigi or Toadstools! Having a second screen and the ability to multi play had definite advantages over anything else they've ever played on before, elsewhere or on their own hand-held one. 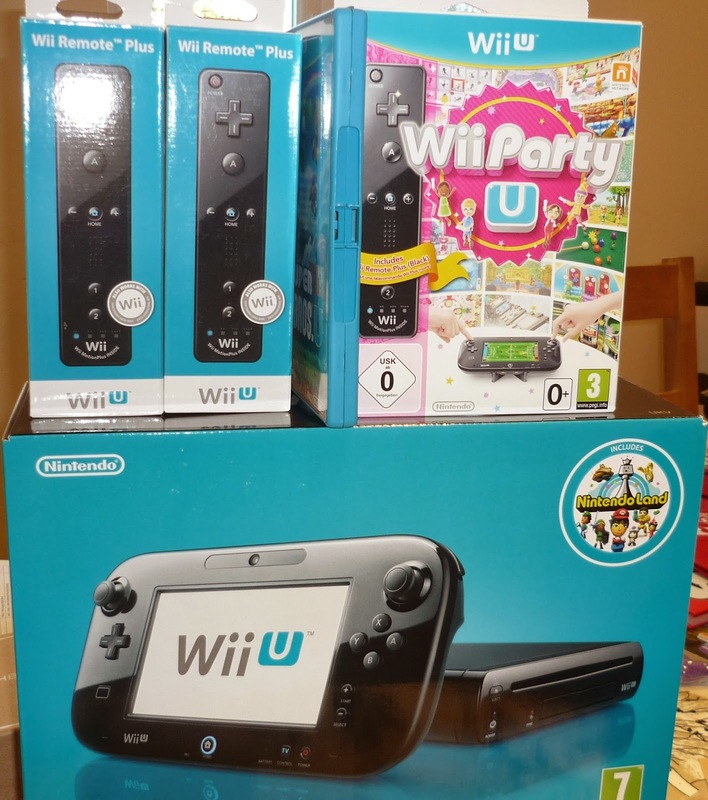 The Wii Party consists of 80 mini games and is especially suitable for real youngsters. We loved the Board Games section, playing the equivalent of old fashioned 'Pairs,' very speedy 'Snap' and something akin to the 'pushing 2ps off the edge' machines in fairground arcades. There's something for everyone though and there's absolutely no excuse not to play! My worrying preconceptions about indecipherable jargon and it being out of our league were wrong. On the contrary - the Wii U has brought our little family into the next-gen one and we're having fun together in the new ways it wants us to. The kids also now have kudos in the classroom, so, all in all, we think this console is cool. 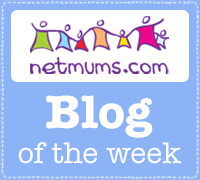 Disclosure - This is an independent review is on behalf of Netmums. We were sent a Wii U Premium Package for the purposes of it, together with the games outlined above and a £15 voucher for the Nintendo e shop. All words and opinions are our own, obvs. Wow nuff respect to you, I wouldn't have a clue where to start with that lot. Looks like it was worth it though, the boys look happy! Ah I bet the boys (and students) love it! We've not tried a Wii but I hear good things from others. I can imagine you being up half the night getting addicted to Super Mario though! We were going to delve into Wii territory this year, but as it's in the hands of my husband, I doubt it will happen. Maybe next year. I'm making the most of enjoying only tablet games at the moment. Great review though, sounds like you are enjoying it. Oooh you know, we haven't gone down this road yet.... Looks like you had lots of fun! We have had the original Wii for years but it mostly just sat there, my children preferring the xBox. Granted we bought the Wii for me. Super Mario I loved but could never get past level three without help from one of my kids. I tried the exercise programs but if I wasn't very careful, I just ended up injuring myself. A few months ago, middle child took the Wii to University. She and her friends now enjoy it, while I go old school and go for a walk outdoors. Great review and so helpful to have it in terms I understand! I usually switch off half way through reading reviews because they sound like gobbledegook. Thanks!